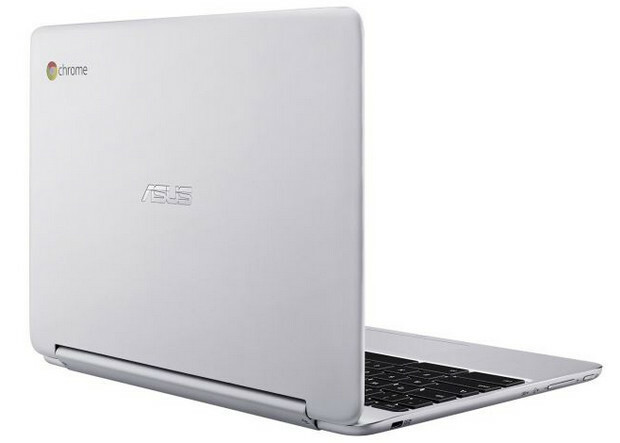 ASUS have announced today launched their new Chromebook Flip C100 convertible laptop which, as its name suggests, lets you flip the screen around by 360° so you can use it as a tablet. The new 10.1-inch Chromebook looks rather a splendid thing, weighing in at under 2 pounds and is a suitably svelte 0.6-inches thick. 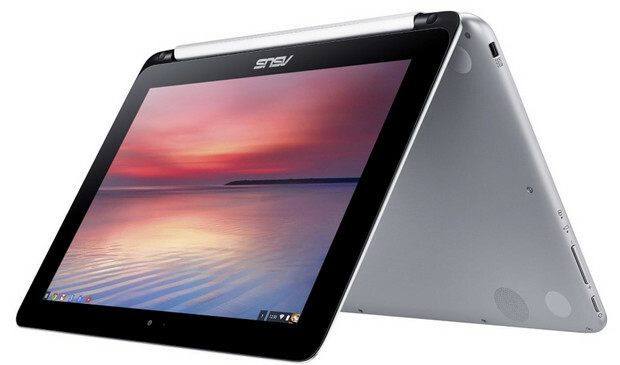 The 1280×800 IPS resolution screen supports up to 10 finger-input simultaneously, and ASUS promise a very capable 9 hours of battery on offer in a stylish package that’s packed in an aluminium body- no tacky plastic here! 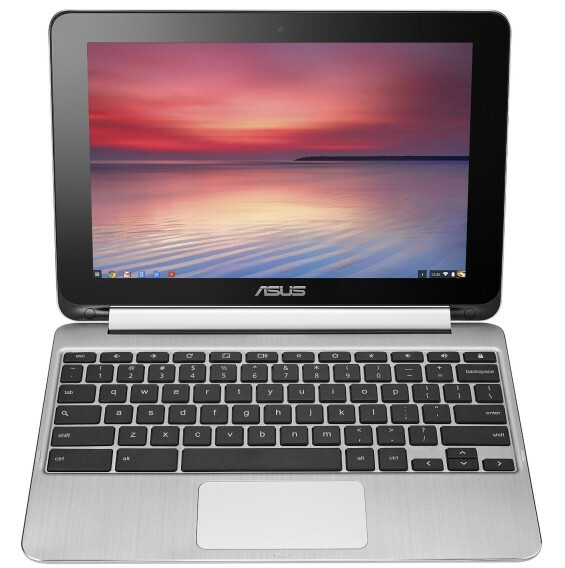 Running Google’s Chrome OS, the ASUS C100 packs a Rockchip 3288-C quad-core 1.8GHz CPU, 2GB or 4GB of RAM, 16GB of internal storage, Bluetooth 4.1, a HD camera, and connectivity comes in the shape of two USB 2.0 ports, micro HDMI and integrated SD card reader. US prices are set at a suitably cheapo $249 or $299 (depending on configuration), with no UK price point set as yet – but expect it to hover around the £250 mark. 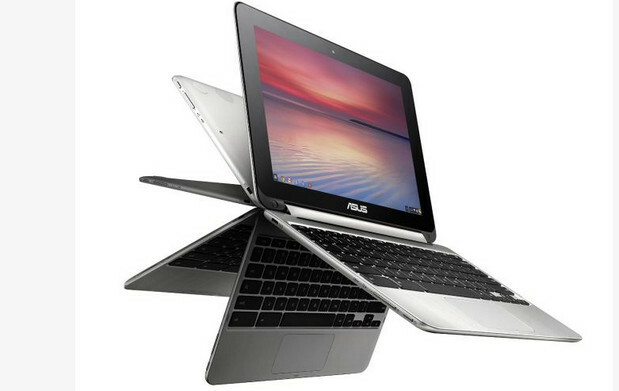 The Asus Chromebook Flip C100 packs a lot of features into a small, low-cost package, including a touchscreen, hybrid hinge, and aluminum body. The biggest trade-off is slower performance, as well as the cramped input methods and small screen. 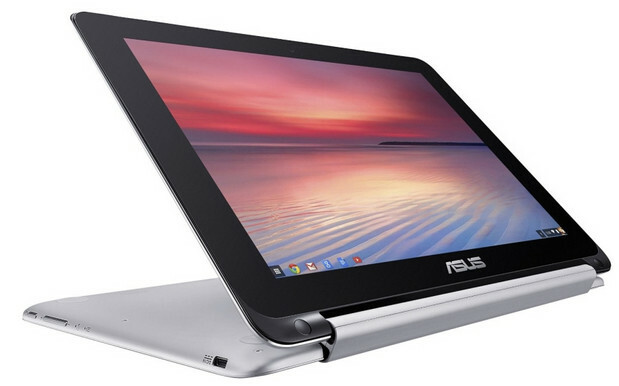 This, or any sub-13-inch Chromebook is never going to be your all-day productivity machine. The extra-long battery life is a great unexpected bonus, but if you’re looking to spend the least possible on a secondary or travel computer, keep in mind that a handful of very low-end PCs with full Windows 8 can be found for even less.